Dolmens are collective funeral monuments comprising a chamber delimited by great stone slabs or megaliths and covered by a mound of earth and stones. The burials were made inside the chamber. The principal Neolithic sepulchres of Cameros are difficult to access and not easy to locate as they are not signposted. The dolmens can therefore only be visited when accompanied by an expert. The Dolmen of El Collado at El Mallo has been reconstructed, and is signposted from Trevijano. At San Vicente de la Sonsierra, in the village of Peciña, the Dolmen of “la Cascaja” is located. En la sierra de Cameros, se encuentra el mayor conjunto de dólmenes de La Rioja. Son monumentos funerarios colectivos formados por una cámara delimitada por grandes losas de piedra verticales o megalitos y de un túmulo de tierra y piedras que la rodeaba. Los enterramientos se realizaban dentro de la cámara. Los principales sepulcros neolíticos de Cameros son de difícil acceso y localización, no están señalizados y por lo tanto no se pueden visitar, salvo en compañía de expertos. El Dolmen de El Collado de El Mallo está reconstruido y señalizado desde Trevijano. En San Vicente de la Sonsierra, en la aldea de Peciña, se localiza el Dolmen de “la Cascaja”. The Würth Museum has been designed as a 20th-21st avant-garde international contemporary arts scenario. Here the works belonging to the Würth España collection will be exhibited, as well as those of the Würth Collection from Germany, considered one of the main ones in Europe and collected thanks to the initiative of Professor Dr. h.c. Reinhold Würth since the 1960s. Visit this website if you want to know more about current exhibitions. Irregular quadrangular floor plan flanked by four towers on the corners, courtyard of Tuscan columns, and cistern. Agoncillo Town Hall. Defensive system from the Early Middle Ages, attached to the rocky escarpment above the river, fortress tower topped with battlements. Contrebia Leukade Visitors' Centre is an exhibition space where its different rooms evoke to the visitor, in an attractive and suggestive way, a city reinvented in a celtiberian world full of symbolism which reflects its everyday life, its customs,its military and strategic function, and the dreams and feelings of those who built it and lived there. Divided in five rooms, it offers a vision of the celtiberian town: its physical location, its historical evolution, its military architecture, its houses, the animistic nature, its people, their stories... In this way,visitors will be captivated by the atmosphere of a historical period that turned this area of La Rioja and its people into one of the most attractive and imaginary places of the celtiberian world. Remains of fortress on the top of the hill above the village. This is one of the oldest settlements in La Rioja, located on the right bank of the river Alhama, close to Inestrillas and Aguilar del Río Alhama, between two small hills. The oldest remains correspond to a burial site dating back to the end of the second millennium before Christ. In the cave of los Lagos (the lakes) some human remains and pottery fragments from the end of the Bronze Age were discovered. The Peledons settled at Contrebia Leukade during the Iron Age. There, they constructed a fortress, taking advantage of a rocky escarpment over the river, urbanised the land and excavated houses in the rock, with a rectangular floor plan. Towards the second half of the 4th century before Christ, other Celtiberian tribes arrived. These tribes extended the settlement and reinforced the defensive systems by excavating a deep moat out of the rock and constructing ramparts around the town. Work was also carried out to supply the settlement with drinking water. Then the Romans arrived and conquered the town in the year 142 BC, leading to the Romanisation of the lands of the Alhama river basin. At present, the archaeological site is one of the most spectacular ones in the Peninsular and is the most significant one for learning about the extent of the Celtiberian technical development and organisational capacity. The excavation of the moat, which was almost 700 metres long and had a width of around 8 metres, involved the removal of more than 40,000 cubic metres of stone which was subsequently used to construct the ramparts. Only some sections of these ramparts still remain, however the latest archaeological excavations have revealed the complete layout. Those wall sections still standing show evidence of subsequent repairs; such work will need to be chronologically dated in future archaeological work on the site. The sections conserved in the extreme east pertain to the primitive stage, at the highest point of the archaeological complex. The wall closing off the northern side, the lowest point of the town and right next to the river, differs from the rest of the ramparts in both style and construction technique. It has six semi-circular towers, two of which flank a gateway, and they are predominantly built of well-dressed and well-arranged sandstone. Its construction, brought back several metres with regard to the Celtiberian wall, dates back to the end of the 1st or 2nd century AD. The town plan adapts to the irregular relief of the site. The houses are aligned in well defined streets, following the contour lines. The house floor plan tends to be rectangular and is often divided into several rooms, arranged lengthwise. The most complete houses are composed of three rooms: a hall used for auxiliary purposes such as storing wood and implements, locating the weaving loom or storing products for immediate consumption; a main room where the hearth was located slightly above ground and a storeroom which varied in size and, in many houses, acquired a great depth to form huge, underground rooms with a pointed ceiling. Either in the hall or in the main room, but almost always in the contact area, there were one or two stores excavated out of the rock and coated with plaster and covered with a wooden lid. The conservation of an important part of the side walls excavated out of the rock, in addition to the mortises to receive the beams, reveal the existence of several floors in some of the houses, offsetting the limited surface area by building upwards. Normally the floors of the houses were made of flattened earth which was repaired and periodically levelled with fresh layers. However, at a later period, coinciding with the Roman rule, special floors were used with mosaics decorated with geometric motifs and schematic animal and plant motifs. To guarantee a permanent supply of water in sufficient quantities to ensure independence from outside supplies, the inhabitants of Contrebia constructed two works that have no comparison within the Celtiberian period. The constructions involved the creation of two accesses connecting the inner town with the Alhama water table. The southern most access was connected to what is known as the cave of Los Lagos or Lakes, of which the entrance and first few metres of the route are still conserved. The second access was a deep well hollowed out of the rock, with access from inside the town by a flight of steps which were also carved out of the rock and partially arched. The work was carried out in two stages. The first stage involved hollowing out a well that was supplied through a small channel that took its water from the Alhama river. This above-ground construction meant that, at times of siege, it was easy to intercept the channel and interrupt the water supply. This circumstance must have occurred, leading to the redesign consisting in making the whole complex deeper, the access stairs and well, until the river water table was reached, enabling a constant water supply to be maintained below ground. 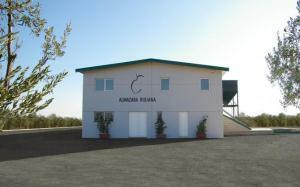 For further information about Contrebia Leukade you can visist the Interpretation Centre in Aguilar del Río Alhama. Almazara Valle del Iregua (Iregua Valley Oil Mill), in Albelda de Iregua (La Rioja), is the first oil mill in the Iregua Valley. Almazara Valle del Iregua is a company with state-of-the-art technology, mainly engaged in producing cold-pressed, non-filtered, extra virgin olive oils, at all times being committed to the quality of its products. Promoting olive growing and olive oil tourism through several activities and wine tasting courses. Almazara Valle del Iregua has adapted to the Organic Farming Legislation with cutting-edge machinery manufactured in stainless steel with two-stage extraction system. It also holds the Environmental quality standard ISO 14001. Another activity of the mill is the promotion of olive oil tourism through guided tours of the mill and and olive groves, as well as tasting sessions and courses on olive growing and oil technology. Located in the town of Albelda, Almazara Valle del Iregua started its activities in 2008 with the purpose of encouraging olive tree growing in the Iregua Valley. The García Cámara family started its olive operations by planting 20 hectares of organic Arbequina, from which they make their own oil. Sold under the Candor and Santificetur brands, they received an award at the Ecotrama 2009 organic oil international competition; a recognition of the good work of Almazara Valle del Iregua during its first year of existence. Tours include a route throughout the olive-oil mill and a tasting of our oils. At the end of the tour, a lunch is offered with Rioja Wine. The price of the tour also includes a bottle of CANDOR brand organic oil. There is a shop at the mill where you can purchase all our oils. 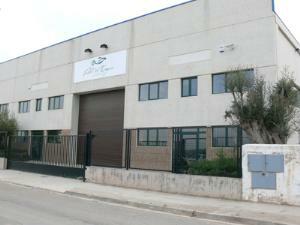 Visita a la "Almazara Riojana"
Almazara Riojana, is a family company with extensive experience in olive-growing. 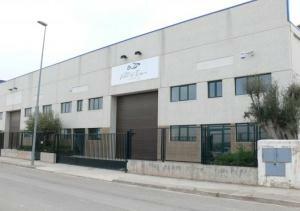 It was founded in 2008 and produces top-quality extra virgin olive oil. It was founded with the aim of creating a highly-expressive product. To this end, we personally look after the olives on the olive trees, during the harvest, production and distribution. It sells its conventional and organic oils under the Oleus and Ecoleus brands. They are grown under the Aceite de La Rioja protected designation of origin and sold mainly in gourmet markets. The firm also provides olive grove assessment and maintenance services. Antigua ermita edificada en 1536, que en la actualidad se usa como sede del Museo del Vino de Aldeanueva. Entre sus muros de ladrillo, se respira la cultura del vino de la zona, donde encontramos diferente utillaje y máquinas procedentes de las antiguas bodegas aldeanas. Además durante todo el año en este espacio se realizan diferentes actividades en torno al vino y su cultura. Conciertos, catas, presentaciones, charlas, etc. Se realizan visitas guiadas, donde se explica la elaboración tradicional del vino en esta zona de Rioja. 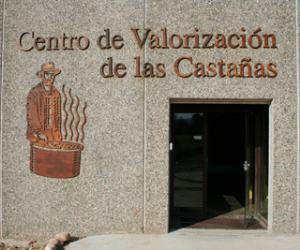 Complementando esta visita con una pequeña bodega doméstica recupera en la zona más antigua del pueblo. La ermita del Nuestra Señora del Portal a lo largo de la historia ha experimentado numerosos avatares. Construida en 1536, se utilizó exclusivamente para el culto durante 300 años. Desde entonces su destino ha sido de los más variado. Así, fue hospital-enfermería durante la Guerra Carlista en 1836, oficina de ranchos, herrería del pueblo y teatro en 1857. En 1860 la Ermita fue rehabilitada por primera vez y recuperada para el culto. En 1949 se realizaron nuevas obras de mantenimiento hasta que en 1960 dejó de utilizarse definitivamente para la liturgia y cayó en desuso y formó parte de la parroquia como almacén de retablos, imágenes, y demás enseres de esta. Tras 40 años de abandono, Viñedos de Aldeanueva S. Coop. la restaura y convierte en el Museo del Vino de la Rioja Baja culminando un doble objetivo: conservar el patrimonio histórico artístico y potenciar el desarrollo local a partir de la promoción turística y cultural. It is a small Visitors' Centre about the Chestnut Tree and chestnuts, where its evolution, values and uses are explained. Chestnuts are a fruit traditionally rooted in our society of great nutritional and cultural value, but still very unknown gastronomically speaking. The aim of this centre is to give this fruit the justice it deserves and make it known in all its aspects. To do this, there is a series of explanatory panels, leaflets,an audio-visual reproduction, and gastronomic chestnut tasting sessions, roasted chestnuts or chestnut liqueur creams, etc. In the same space is a small shop selling all kinds of products made from chestnuts, as well as related tools.